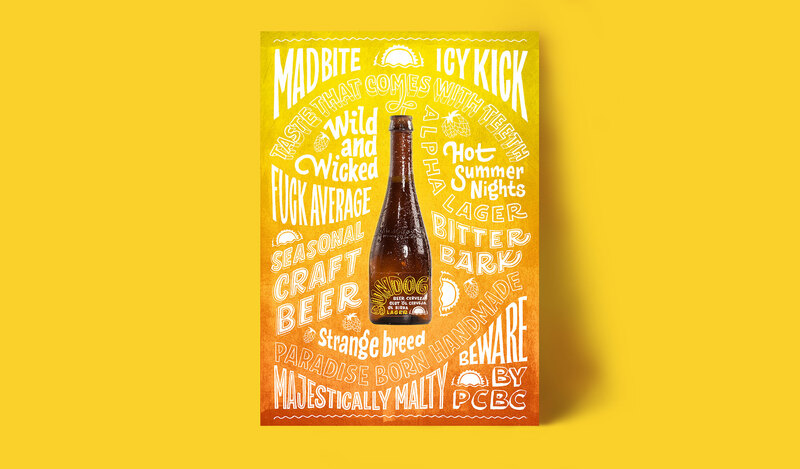 Label design and promotional posters for two beers by Paradise City Beverage Co. 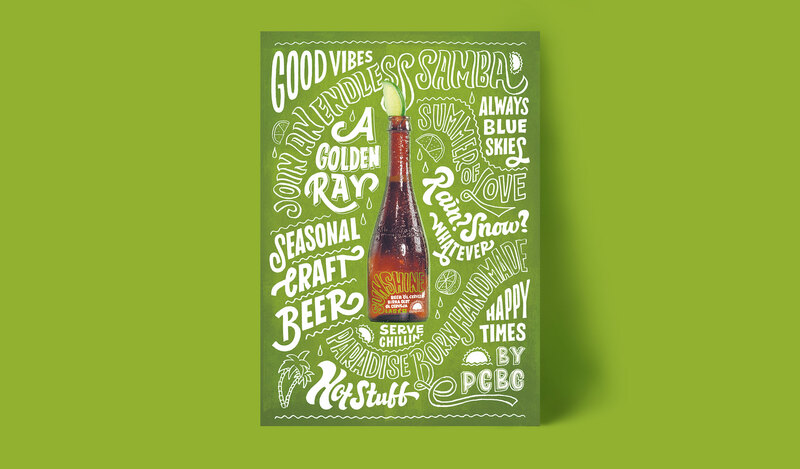 The beers have a very summery vibe which is reflected in the carefree lettering style of both labels and posters. The aim was to communicate that, rain or snow, these beers will bring summer and sunshine into your mouth and heart. Sundog has more bite, hence the lightning inside the otherwise friendly letters. All the text was drawn by hand first and then scanned to be compiled into the labels and posters. The label lettering was further developed into a custom typeface; Sunshine Sans.